Popcorn Hour A-210 is one of the hottest video streamers on the market with incredible ability to play almost all kinds of video types. 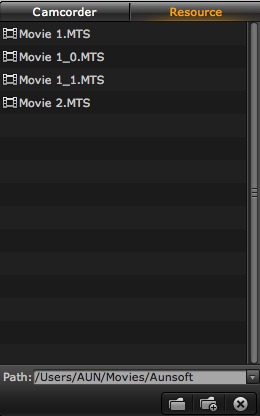 There are some exceptions of course like AVCHD MTS/M2TS file formats. But all in all, Popcorn Hour is still one of the favorable choices on the market, probably only second to Western Digital WDTV Live. The guide introduces how to playback AVCHD Full HD 1080p memories via Popcorn Hour A-210 on big screen HD TV. There are several steps involved, first of all, let’s take a look at Popcorn Hour A-210 supported video formats. For specs of Popcorn Hour A-210 above, we know that AVCHD MTS, M2TS streams are not supported by the device. So in order to enjoy a complete video of your holiday memories with MTS or M2TS file extension, we have to batch transcode AVCHD files to Popcorn Hour A-210 supported video formats. 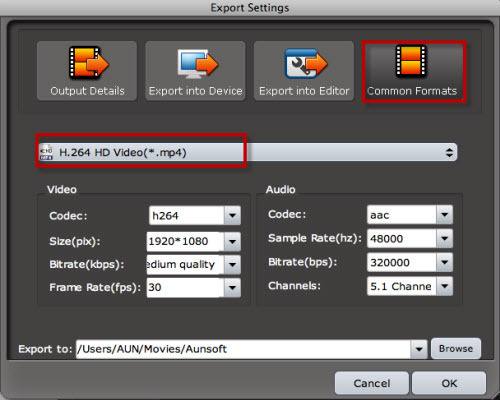 Please check out the steps below about joining AVCHD files to H.264 1080p MP4 format for playback on Popcorn Hour A-210 on Mac OS X.
Aunsoft Final Mate for Mac, the best AVCHD camcorder software for Mac OS X, helps manage AVCHD MTS/M2TS video footage in batch easily and quickly. Launch Final Mate for Mac, click on Resource Tab and Path drop-down button . Then all AVCHD clips will be listed on Resource Tab, available for further joining and editing introduced in Step 3. 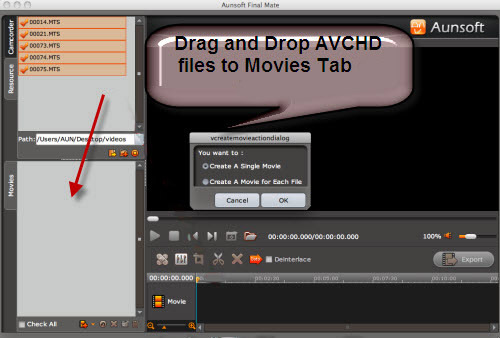 Choose “Create A Single Movie” to merge all AVCHD files into one movie in Movies Tab. Double click the new movie, you can playback the movie in player window and highlight it in Timeline for basic editing such as splitting, cutting, audio replacement, etc. After you finish editing, click on Export button and follow instructions described on Output Details tab. Follow Common Formats > HD Video > H.264 HD Video(*.mp4) format for transcoding AVCHD movie to H.264 1080p MP4 format for playback on Popcorn Hour A-210. After the process is finished, click on “Browser for Export Path” to copy and stream 1080p MP4 movie to Popcorn Hour A-210 and enjoy your memories with Full HD quality on big TV. 1) If you are a PC user, you can find correspondent product Aunsoft Final Mate for joining AVCHD files for playback on Popcorn Hour on Windows platform. 2) To learn more about guide and tips of using Final Mate for Mac, please visit Aunsoft Final Mate for Mac Guide Page.